At Delray Beach Oriental Rug Cleaning Pros, we professionally clean every type of Oriental rug and area rug from inexpensive floor coverings to Navajo rugs to valuable Persian rugs in Palm City, FL. We individually inspect and test each rug to determine proper cleaning procedures as well as the best method to fit your budget. We offer all cleaning methods from hand washing, shampooing, dry cleaning, and full emersion recirculation. 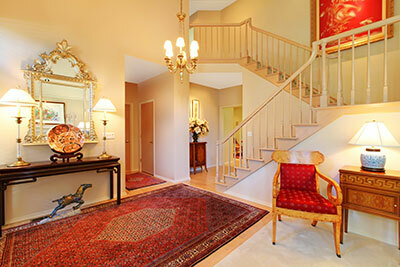 Area rugs should only be cleaned in a well-equipped facility, and never cleaned on the floor in your home. Pretreatment and hand washing can only be performed under controlled conditions. Pet stains and wine stains for example require special treatment prior to washing to insure the best results. 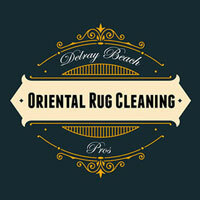 Delray Beach Oriental Rug Cleaning Pros specializes in professional treatment, restoration and preventive care of all types of area rugs in Palm City, FL. Our deep knowledge of rug types, weaving, dyes and cleaning methods ensure that your precious rugs are treated with the appropriate techniques and handled with the utmost care. We use hand-spotting techniques, state-of-the-art cleaning methods and equipment. We recommend professionally cleaning your rugs at least every one to three years, depending on the amount of traffic, environmental conditions and soil. While there is no guarantee that we can remove all stains, spots or discolorations, with proper care, area rugs can last for generations. 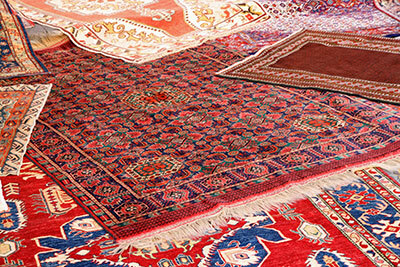 When needed, our experts can also repair and restore your rugs by reweaving, Kashmiring, wrapping sides, chain-stitching ends, or patching and adding new fringe.